To celebrate these exciting moments on my new recipe channel, I am announcing a First Giveaway at my space. So participate in the give away and win this Cute Coffee or Spices Grinder. This will be very handy to make quick masala powders at home. Please see below for instructions to participate in this give away! To increase your chances of winning, you can do all three above and leave a separate comment for each step in the comments section on this post. Already a Follower? Simply leave a comment to participate! Note: This Giveaway is only for US Residents, will be closed on May 11th Sunday. I will anounce the winner on May 15th. Good Luck! Yay! 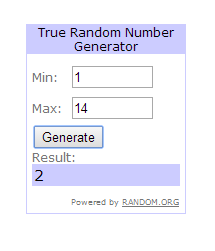 We got the Winner for this Give Away! Winner to win this Cute Spice Grinder. Drum Roll... Please! Arpitha, I couldn't find your email address on profile. Please reach out to me with your Address so that I can mail it you. Thank you everybody for participating in the Giveaway. Stay Tuned as more Giveaways are coming up...! Your recipes are simple and delicious, I tried lemon buttermilk pound cake, tofu butter masala both came great. Mytreyi, i couldn't able to find your Email Id, Can you please send your email id to my id(arpitha.ch1@gmail.com) so that i can send you my Address. lots can happen over a cup of coffee.